These beautiful glass ornaments can be enjoyed outdoors all year round as an exquisite garden decoration or patio adornment. 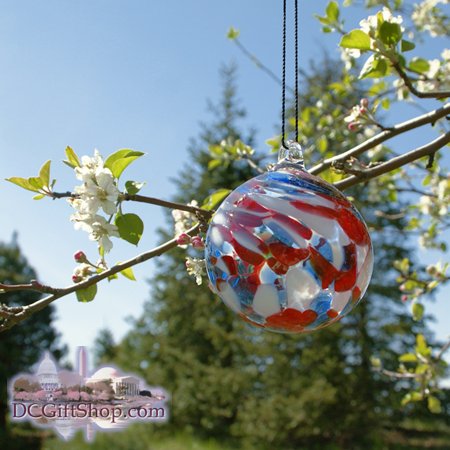 These beautiful red, white and blue ornamental balls are hand-blown glass from artisans that have been in the craft for generations. No two are the same and they measure approximately 3.5 - 4" wide. These glass ball ornaments are made with pride in the U.S.A.